There’s a thrill in exploring, whether it’s an entirely new place or somewhere that you’ve neglected for a long time. 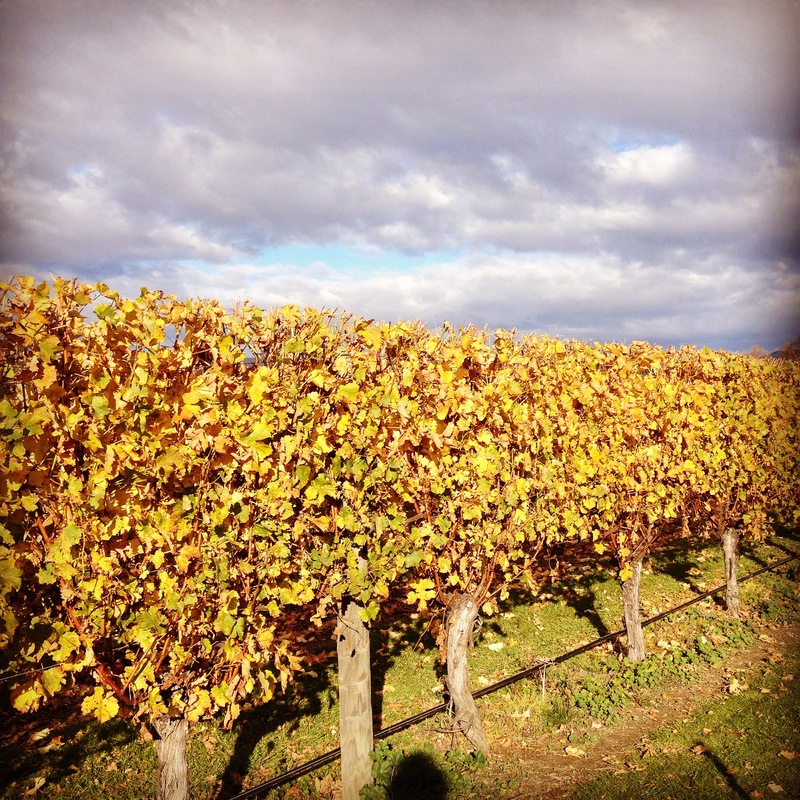 I first visited Marlborough on my first road trip to the South Island. We were passing through and stayed for a couple of days in a tiny cabin in a run down campsite on the edge of Blenheim, the largest town in Marlborough, while we plotted our journey southwards. We should have lingered because Blenheim and its environs are worthy of more attention. Marlborough is New Zealand’s premier wine growing region with a worldwide reputation based on its classic sauvignon blanc and vineyards are its defining feature. From the air, the airport is squeezed between the rows of vines laid out in precise lines from north to south. The sauvignon blanc vines are the first to shed their leaves and at this time of year they create a gorgeous patchwork of yellow and orange against the deep green pinot vines. Marlborough may be most famous for its sauvignon blanc but pinot (noir and gris), chardonnay, and limited edition methode traditionelle are on the wine list too. Just minutes from Blenheim’s town centre the first signposts appear pointing to the cellar doors of some of New Zealand’s most reknowned vineyards. They may seem like unlikely bedfellows but bicycling and wine tasting are a popular pastime in this part of the country. Cycle the Golden Mile, which is actually 6kms, and visit 10 cellar doors ( no more than 5 are recommended in one day which seems very sensible) and best of all – it’s flat. Keep your energy levels up at Renwick’s famous pie shop – a ‘must do’ but get there before lunchtime to make sure the cabinet is full – and stop at The Vines Village on Rapaura Road to rest beside the lake and check out the famous Denheath custard square) (and?) or a slice of fudge from the Fudge Factory. And, naturally, there are plenty of vines nearby for photo opportunities. I confess to driving the Golden Mile rather than cycling it so I was up early the next day, muscles intact, at the Blenheim Rotary Car Boot Sale. It was easy to spot the hardy folk who had been there since 6.30am; they were the ones with woolly hats and gloves clutching cups of coffee. They’d brought trailers of firewood and bags of pine cones, vegetables and plants, and second hand books, tools and toys. There was a table laid out with delicate bone china and children’s clothes, everything $2, were piled on blue tarpaulins on the ground. Someone had set up a barbecue and was frying bacon and further along, hot lemon and ginger tea was free in exchange for a brochure from a spiritual group looking for new members. An old man sat in front of his ancient stationwagon with a chalk board that said “goldfish $6” but no one was biting. Probably too cold for fish I thought. Books are more my kind of thing and I found a couple, as I always do, but I was on the lookout for a tea cosy, the kind that I felt sure would not present a challenge to the lady sitting behind a table covered in booties that she had knitted. She looked surprised when I suggested that there might be a market opportunity and I could see that she thought that anyone worth their salt would knit one themselves. The Car Boot Sale is a weekly event in the railway station car park and it’s not to be missed. I hope the knitting lady does expand her product range because I’ll be back. Is Air BnB for you?